Trusona is the global leader in passwordless authentication, ensuring the True Persona behind every digital interaction. By eliminating all static credentials, authentication becomes frictionless while thwarting the rise of cybercrime perpetrated through static credential replay. Trusona was founded in 2015 by CEO and cybersecurity expert Ori Eisen and is funded by Kleiner Perkins, Microsoft Ventures, Seven Peaks Ventures, and 2M. 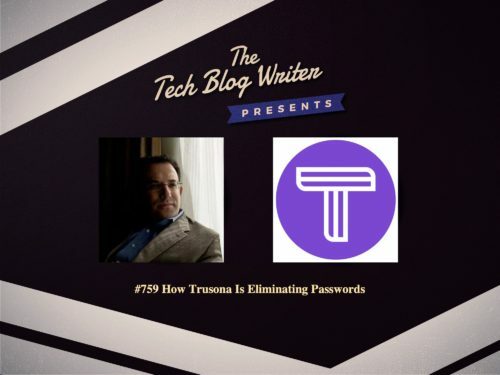 Last year I spoke to the founder and CEO of Trusona, Ori Eisen about his mission as the leader of the no passwords revolution. During my tour of the Phoenix tech scene, I decided to drop by and catch up with Ori and meet in person to learn more about his story and his award-winning work in the region. Every year the Phoenix Business Journal recognizes leaders for their strong leadership, integrity, values, vision, commitment to excellence, financial performance and commitment to the community. Ori has been repeatedly recognized for his contributions to the cybersecurity industry and involvement with non-profit organizations that battle daily with the repercussions of cybercrime. Ori has spent the last two decades fighting online crime and is respected for his business knowledge and leadership. Prior to founding Trusona, he founded 41st Parameter – the leading online fraud prevention and detection solution for financial institutions and e-commerce. 41st Parameter was acquired by Experian in 2013. Ori is often quoted by industry insiders and receives numerous invitations to keynote industry events and conferences and he holds over two dozen cybersecurity patents. On today’s daily tech podcast, we talk about the passwordless 2FA integration for Pulse Connect Secure VPN and why so many tech companies are relocating to Phoenix. Previous Post760: Dash Core Team CEO Ryan Taylor - What's Next For Dash Pay?